Nick has a very contemporary bag. 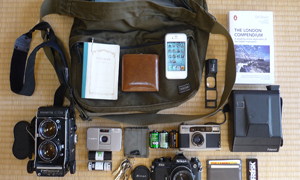 Film and digital Leica cameras and a rather spiffy bag to put them in. Check it out. I am an amateur photographer from Melbourne Australia. I enjoy taking photos of everything except cats! You can see from the photo that my camera enjoys the wonderful Australian sun. My “day job” is a management consultant however I love the creative aspect of photography. I travel allot for work and invariably take one of my cameras to take advantage of down time to photograph wherever I am. 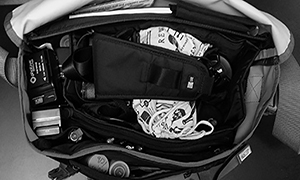 When I can, I take as much of my camera gear as I can fit into my luggage and use it all. 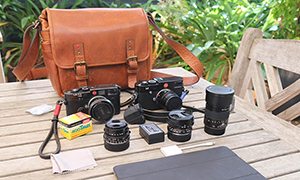 I like both digital and film so therefore use a Leica M6 and M240. I am still developing my passion for film! 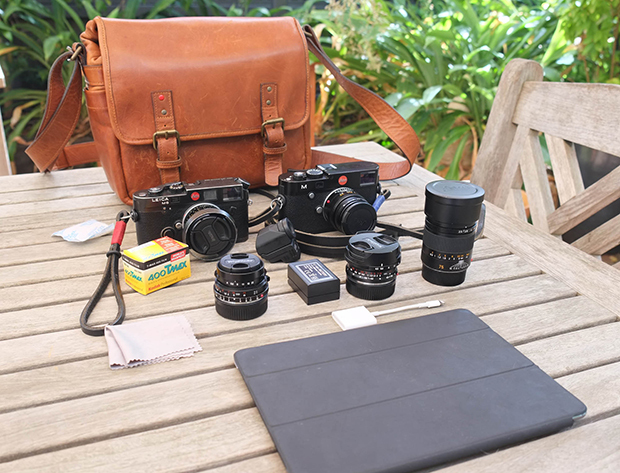 The lenses I carry are an old Summilux 35mm, a Summicron 50mm, Summarit 75mm, Voigtlander 21mm and 15mm. 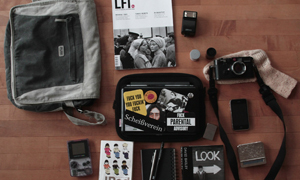 I use the ONA Berlin II, the perfect bag for my needs. I got this one off the shelf with scratches so the store knocked 25% off the price – it is not a cheap hobby we dabble in so we have to find the bargains. I carry an iPad and SD card attachment thing for backup. 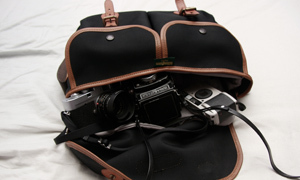 I use the Gordy straps which work very well and are fantastic value. I always take the silica pack to help with humidity protection. Only just started putting my photos up on my website: www.nickeveringham.com and on 500px. Thanks for sharing your bag with us, Nick. That Ona looks good, I bet it will look fantastic in about 5 years.